Oh, college. So many of my rosiest memories and closest friends come from my time spent in college. The lack of supervision! The cute boys! Classes that start at 11:00! Independence at it’s very finest, and also scariest, simply because everything is so new. I’ve mentioned before how difficult it was to register for house gear as a newlywed, because I had no idea what went in to running a house. Well, college was even worse. I spent my first year of college in dorms, where house-running was the least of my concerns. My sophomore year, however, I moved off-campus to an apartment with four other girls, and none of us had much of any experience cooking or cleaning up after ourselves or being adults in any real way. We ate cup noodles a lot and had a stack of brightly colored plastic plates that got sort of warped in the dish washer, which (along with our decorative construction paper wall of obscene/absurd quotes) did nothing to make us feel like we were capable of taking care of ourselves. Going from living at home to the first phase of adulthood is a really empowering transition, but it can be ROUGH. Especially if you feel frustrated by the act of having to feed yourself, and end up spending all your money at Denny’s because it’s the only place open at your preferred dinner time. I’ve spent some time thinking about what is absolutely necessary and what is absolutely not when you’re putting together and using your first-ever college kitchen. I’ve also got some thoughts on what you should be eating and how to manage shopping and cooking for yourself now that you’re on you’re own, which I will get into later. Here is my list of kitchen essentials for the utterly uninitiated – those who are starting from absolute scratch. I’ve tried to focus here on maximum mileage with minimum cost and quality that’s both passable and functional. I’ve also linked to my favorite things, for reference. Most are from Ikea because the prices are consistently low, the quality is solid, and there’s one in most college towns – but Home Goods and TJ Maxx and Target also carry decent stuff. If you turn out to be the next Thomas Keller, you may re-assess this setup, but for now, this is what you need to feed yourself. 1. A Decent Knife – Feeding yourself is actually a slightly hazardous responsibility, like driving, or wielding a pen. A good, sharp knife will actually make you less likely to hurt yourself while cooking. Sharpness means you will use less brute force when you’re making cuts, and make fewer spastic movements when you get your knife through that onion. Don’t feel like you need to splurge, because really good knives need professional sharpening, and we both know that’s never happening. Don’t spend more than 40 bucks. 2. A Large Pot – A decent pot that’s heavy and has a thick layer of metal on the bottom will last forever, and make cooking big, hearty dishes like chili and beef stew possible. They’re also necessary for boiling pasta, potatoes, and feeding a group instead of a one. Ikea’s 365 collection is solid and cheap. Go for at least 5qt volume, bigger if you intend to feed big groups. 3. 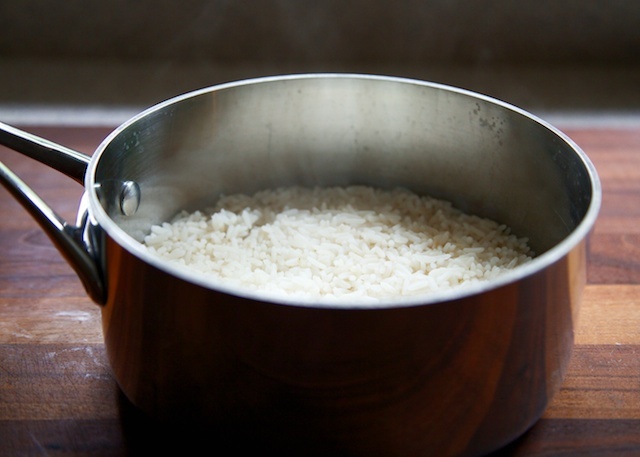 A Medium-Sized Pot – You need one for making smaller batches of things like oatmeal, re-heating soup, making gravy, etc. 4. A Frying Pan – If you ever want to cook an egg or pan-fry a piece of chicken, you will need a pan. You can even use them to make toast. That’s right, if you have a frying pan, you don’t need a toaster. I recommend nonstick here, because learning how to keep food from sticking takes a little time, so don’t touch it with metal spatulas unless you like teflon in your food. Plastic, silicone, or wood utensils only. 5. A Roasting Pan – This is a multi-purpose vessel that you can use to roast vegetables, bake brownies, or make lasagna. Go for at least 9×13 in size. 6. Mixing Bowls/Serving Bowls – Things need mixing, and sometimes a cereal bowl won’t cut it. Bonus points if the bowls also look ok on a dinner table, maybe with salad inside? 7. Colander/Pasta Insert – Wash vegetables, drain pasta, it’s handy. 8. A Knife Sharpener – For keeping that decent knife decently sharp. When you grow up and get a real, fancy knife you will have to get rid of this and give your babies to professionals for sharpening. But for now, decently sharp is better than not sharp. 9. Big, Plastic Cutting Boards – Get one for meat and one for veggies and mark them as such. It’s best if they can also fit in the dishwasher. 10. A Grater – For hash browns, cheese, carrots, onions, and anything you don’t feel like chopping up small. 11. A Can Opener – Try opening a can without one. 12. A Ladle, A Spatula, And A Big Spoon – For serving, flipping, and slopping. 13. A Rubber Scraper – To reach the dregs of the peanut butter jar. 14. Measuring Cups and Spoons – If you want to follow a recipe, ever, you’ll probably need these. 15. Food Storage Containers – Leftovers! How economical of you. 16. Bowls and Plates – Gotta eat off of something. 17. Glasses – Not every drink comes in a can. 18. Mugs (with handles) – Because a hot drink in a glass is hard to hold and it looks weird. 19. Silverware – Trust me. 20. Dishwashing Brush – For washing dishes, or at least knocking the crud off of them before they get thrown in the dishwasher. 21. Pot Holders – I would advise against removing anything from a hot oven without one. 22. 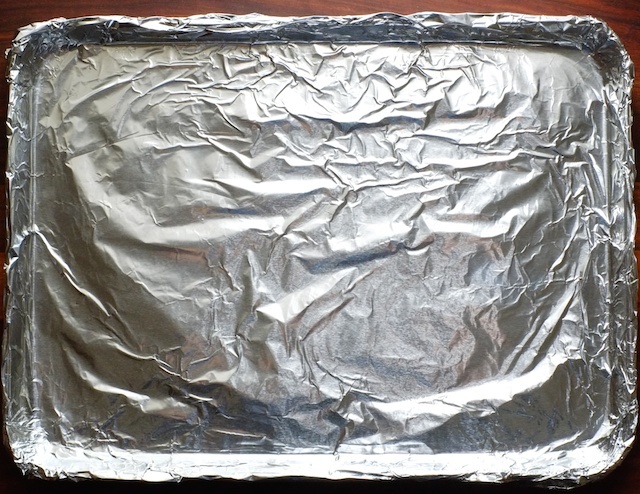 Aluminum Foil and Plastic Wrap – Foil-lined roasting pans don’t have to be scrubbed. Plastic wrap covers leftovers and avocado halves (and the like) for later usage. 23. Ziploc Bags – Did you know you can freeze leftover soup in a bag? You can. Brand-name, freezer bags only if you intend to test their water-tightness. Pretty please. 24. Paper Towels – These things aren’t great for the environment, but you can’t be trusted to wash your sheets more than once a semester. No way do you get the responsibility of kitchen towels. –A Bread Knife – Those serrated edges make bread slicing easy, also tomatoes! –Wooden Spoons – Multi purpose, won’t scratch teflon, doubles as a serving spoon for some foods. –A Whisk – Nothing blends things together like a whisk. –A Rimmed Baking Sheet (aka cookie sheet, half sheet pan, or jelly roll pan) – Honestly, they’re way better for roasting veggies than a roasting pan. Cookies do well on them too. –Tongs – Cooks call these their “hands” because they are that awesomely versatile. Especially for grilling and flipping meat. And that’s it. As you get more comfortable in the kitchen, you will find more things to add. But you can fake your way through most recipes if your kitchen is equipped with these. And if you split the cost of some things with roomies, you can get set up for not too much money. Up next, the rules of fledgling adulthood: kitchen edition. What cooking advice/tools would you give yourself if you could go back in time and drop yourself a little culinary wisdom? I could have saved myself an embarrassing incident if I'd had a sharp knife in college. It involved a cute boy and a tomato, but that is all I will tell. Dull knives are evil and cause pain to all who use them. It's proven. You have my sympathy!